The Austrian company ISOVOLTAIC, the worldwide market and technology leader in developing and manufacturing backsheets for PV modules, is concerned with researching and developing new, cost-efficient technologies for encapsulating solar cells. 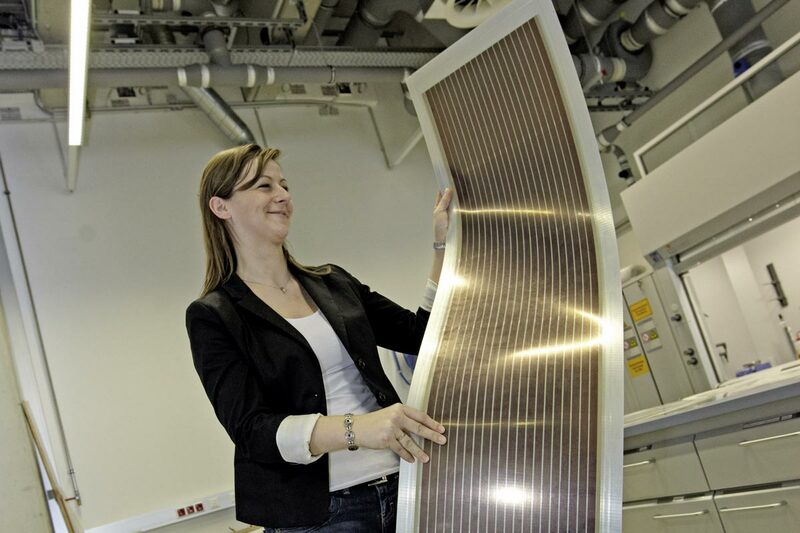 As part of a collaborative project with business and research partners and a timeframe of several years, a flexible solar module 34 metres long, applied to a roofing membrane, is currently being developed. 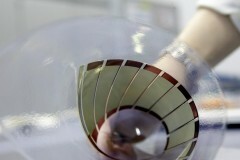 The prototype, which merges membrane and solar module into an integrated construction element, has considerable potential for generating solar electricity in a cost-efficient way in future. The project involves developing high-barrier materials to encapsulate flexible solar cells, then fabricating the modules in a roll-to-roll process and finally roll-to-roll laminating on roofing membranes. Various cell technologies are employed for the solar modules used. 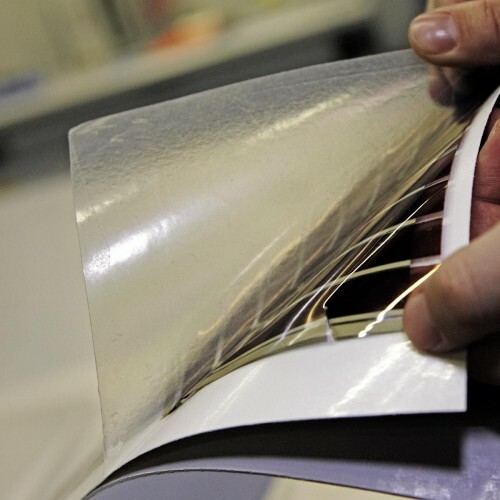 The material for encapsulating must satisfy cell requirements as regards its effectiveness as a barrier to water vapour/oxygen, its optical transparency, UV resistance, adhesion to encapsulating media and flexibility during roll-to-roll processing. In addition, excellent resistance to weathering is required for use in long-term PV applications. Until now high-barrier materials have been manufactured, and cell systems then encapsulated, in batches. The goal of the project is to transfer know-how acquired in batch manufacturing flexible PV modules to continuous roll-to-roll processing. The processes recently developed make cost-efficient fabricating of flexible PV roof sheeting on a large scale to high quality standards possible. The modules come in the form of a flexible roll; they can be handled like conventional roof membranes (they weigh only slightly more than these), so further savings in installation costs are achieved. The modules can be integrated into buildings in many ways, e. g. as shading elements that can be rolled up. The “roof sheeting PV modules” fabricated are to be installed in test rigs at three different sites by the project partner Austrian Institute of Technology (AIT)/Energy Department, who will subsequently monitor the modules as regards optical and engineering parameters. It is planned to install a facility of this type on the roof of the ISOVOLTAIC headquarters in Lebring by the end of 2013. The high-barrier materials developed by ISOVOLTAIC are combined with encapsulation material from Isosport, and then assembled with the various types of cell in a roll-to-roll process. Both CIGS (copper-indium-gallium-diselenide cells/Flisom) and organic cells (Konarka) are employed; here e. g. differences in temperature stability between different types of cell must be taken into account. This multi-layer composite is then fused with roofing membrane (Renolit) in a roll-to-roll process. 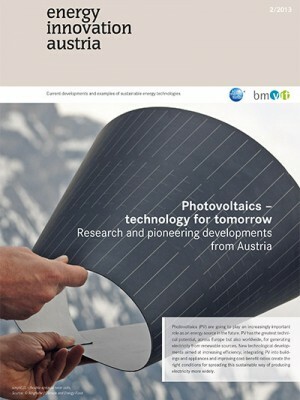 The publication series energy innovation austria provides insight into the Austrian energy research and presents exciting new concepts and innovative products. The articles are based on research projects that have received funding under the programs of the Federal Ministry for Transport, Innovation and Technology and the Climate and Energy Fund. Expert interviews, pictures, illustrations, and additional links and contact info complement the articles.